Introducing For the Birds and You Are My Everything 2! 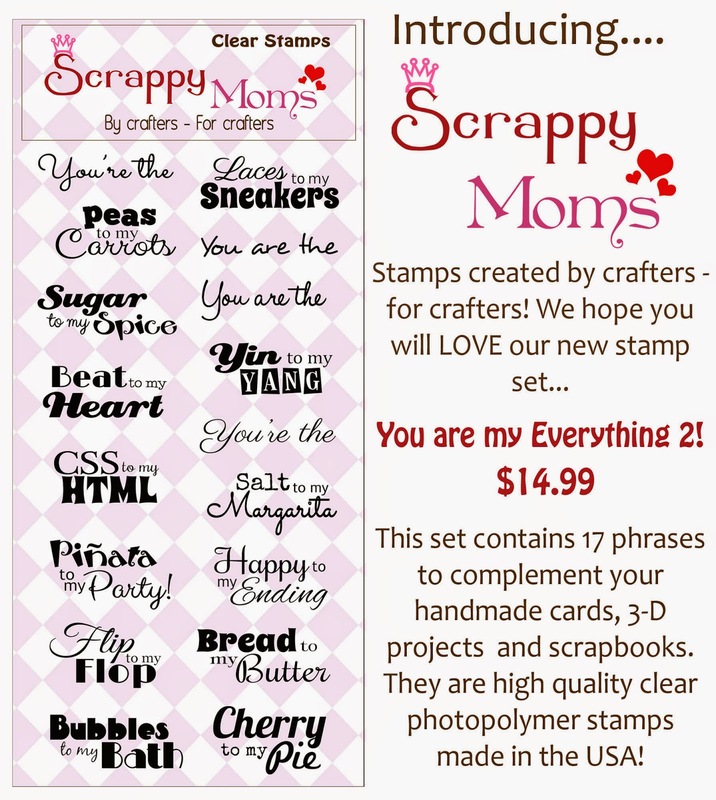 This is a easy little card using one of our newest stamp sets - You Are My Everything 2. 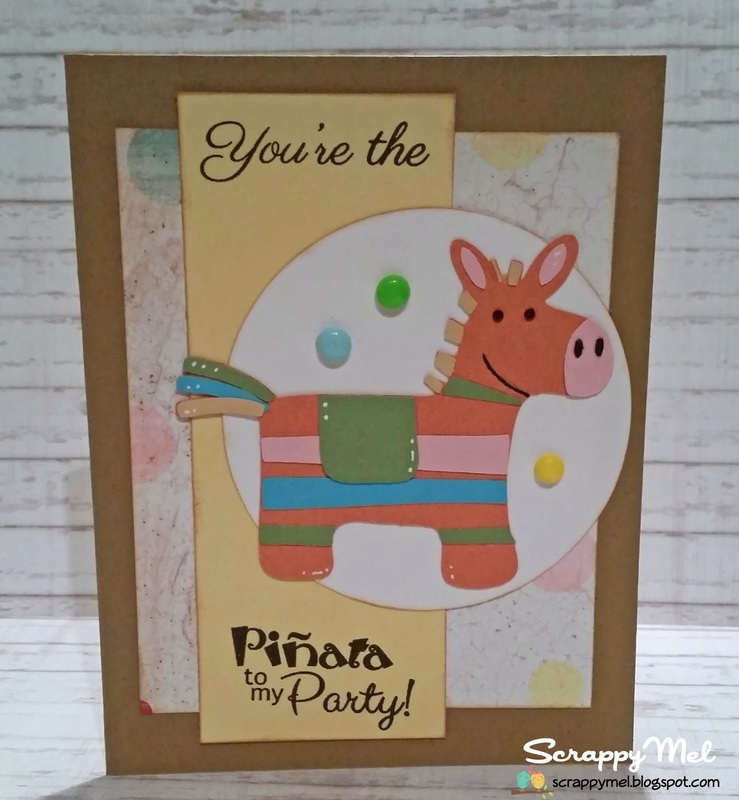 I cut the pinata from Birthday Bash then added a few homemade acrylic dots to finish it off. 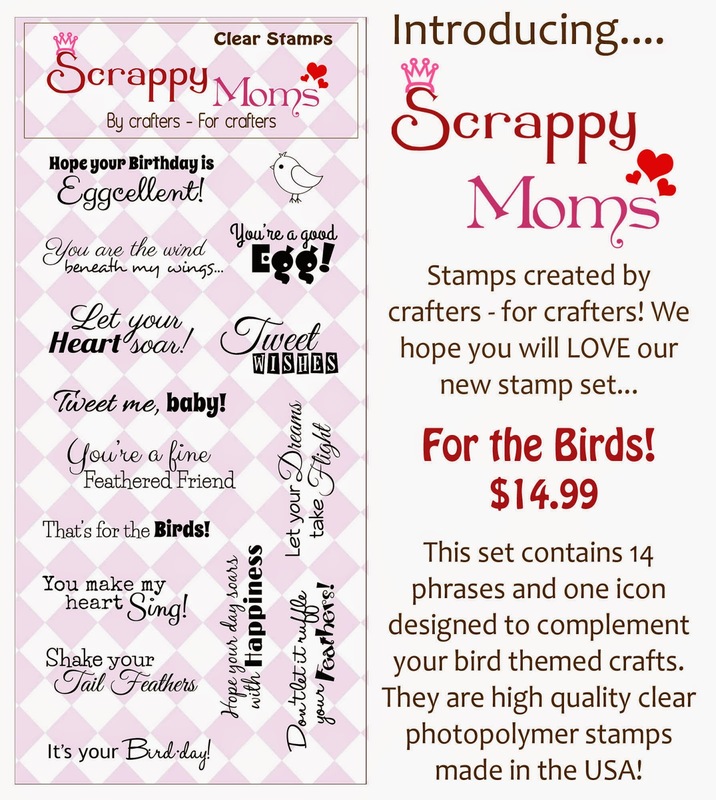 Here is the full stamp set and the 2nd set we are releasing, For the Birds. I will have more project for you this week. 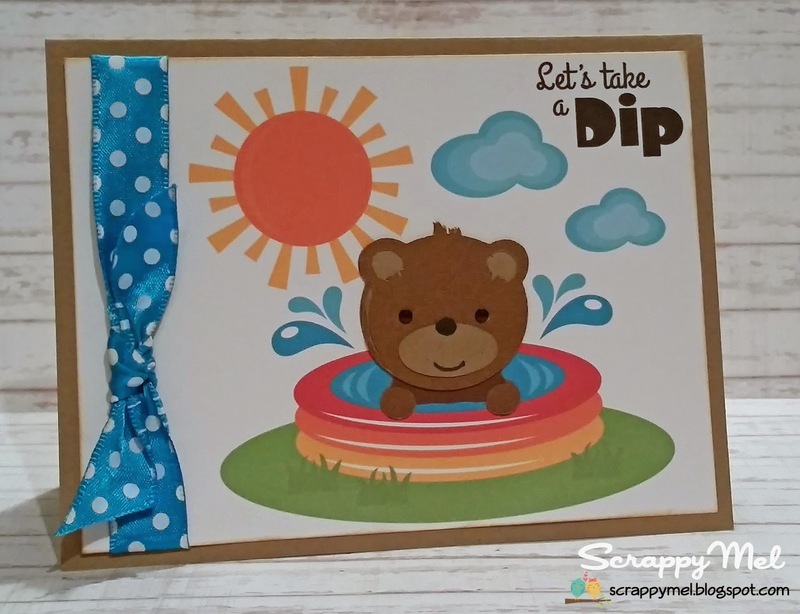 Be sure to visit the rest of the SMS DT, including our January Guest Designer - Sarah from Sarah's Stamping and Stuff, for more projects using these 2 new sets! Terrific Tuesday Challenge - Think Warm! I added a polk-a-dot wire ribbon and a sentiment from Scrappy Moms Stamps Beach Bums stamp set to finish it off. 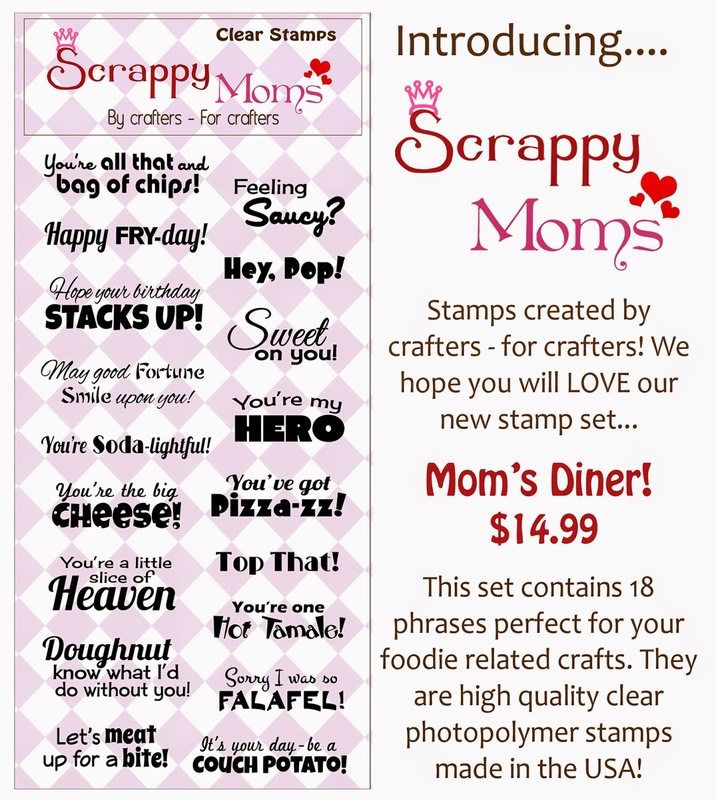 I hope you enjoyed my card and that you will come play along with us at Scrappy Moms Stamps. Hi, everyone! Thank you for stopping by to see my project for this weeks TTC. 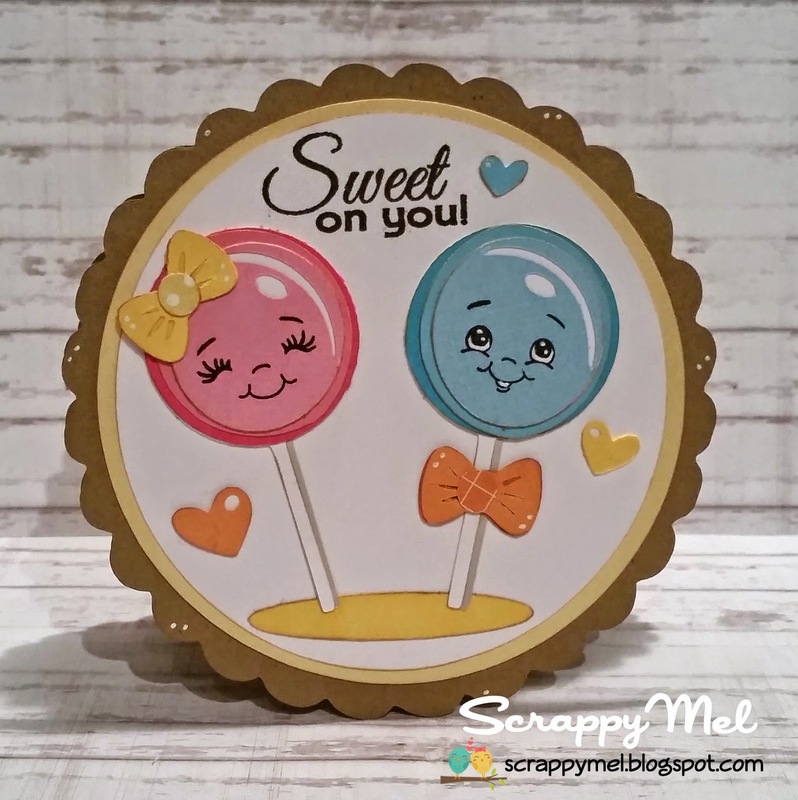 This weeks challenge was to use something sweet and I think my Lollipop Couple from Miss Kate Cuttables works perfectly! I paired them with a sentiment from Scrappy Moms Stamps Mom's Diner set. 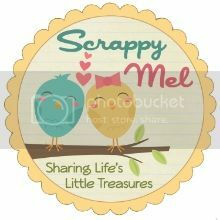 I hope that you will come join us and link up your "Sweet" project for a chance to win a Scrappy Moms Stamps set of your choice.